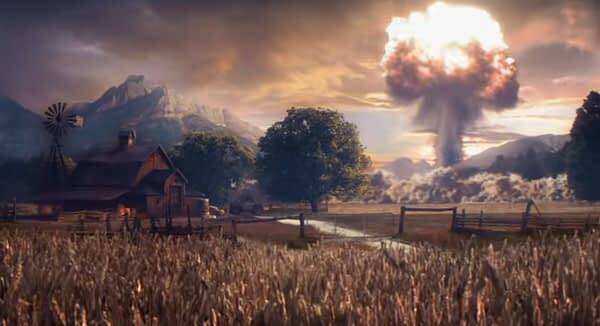 Ubisoft has put out a teaser trailer for something Far Cry, centred around a nuclear bomb. It’s set to be fully revealed tonight at The Game Awards. The Game Awards are tonight and people are excited. The show is quickly becoming one of the biggest yearly gaming events when it comes to announcements, so there is certainly a lot of buzz for what we might see. There have been a lot of rumours flying around, as well as several companies ruling out their participation, so tongues are wagging around the potential reveals. There isn’t a lot to go on here, but it’s clear some kind of bomb has gone off. We also see a long passage of time, so it looks like this will be set long after the destruction. It will be very interesting to see if this looks at all Fallout-like. The franchise is currently going through some… problems, so eyes will be on if this new content could eat Bethesda’s lunch.